Contemporary furniture design has grown in popularity in recent years, but why? 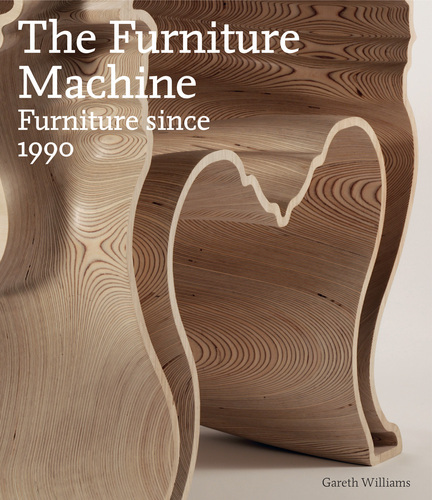 The Furniture Machine looks at the furniture industry and at design trends since 1990, to unravel the appeal of contemporary design. Who are the leading designers and that are the dominant styles of the period, from Minimalism to Blobjects and the New Antiques? Which technical or material innovations, like CAD-CAM and rapid prototyping, have changed the way furniture is made? Who are the most influential design thinkers, and what ideas have most influenced the look of furniture? Drawing on the collections of the V&A Museum and elsewhere, The Furniture Machine seeks to answer these questions through the work of the major designers of the period, including Philippe Starck, Ron Arad, Marc Newson, Jasper Morrison and Gaetano Pesce. Furniture by continually innovative Italian manufacturers such as Cappellini, Edra, Moroso, magis and Kartell is considered alongside the increasingly influential activities of conceptual labels such as Droog Design and Moooi. The Furniture Machine also highlights the rising generation of designers from Britain, continental Europe, Japan and the USA. This book is the first to take an in-depth look at a key period during which the advent of new aspirational lifestyle magazines like Elle Deco and Wallpaper*, and IKEA’s infiltration of the mass-market, fuelled popular enthusiasm for contemporary design. Just as design has conquered the mass market, so it has entered the art and collectors’ market too. The book looks at how designers achieve celebrity and how this ‘ego system’ effects the industry. It also examines how the structures of the global furniture design industry are increasingly beginning to echo those of the fashion world, celebrating newness and promoting innovation.